Phantom was found by a kindly lady on a chilly day. He was stray, hungry, and in need of immediate medical attention. After being treated for an urinary tract infection, he's been deemed in perfect health. Now, he's ready to return to his favourite past times, like sharing stories with his friends, and sitting by the window, where he can ponder upon all manner of things. Phantom is a friendly, easygoing kind of cat. He has a kink in his fluffy tail, a unique distinguishing feature. He will regale you with stories, as he is a vocal cat. He is also good with other cats, and gets along well with the other female feline in his current foster home. With so many lovely characteristics, Phantom is a good bet for a family looking to adopt a cat. 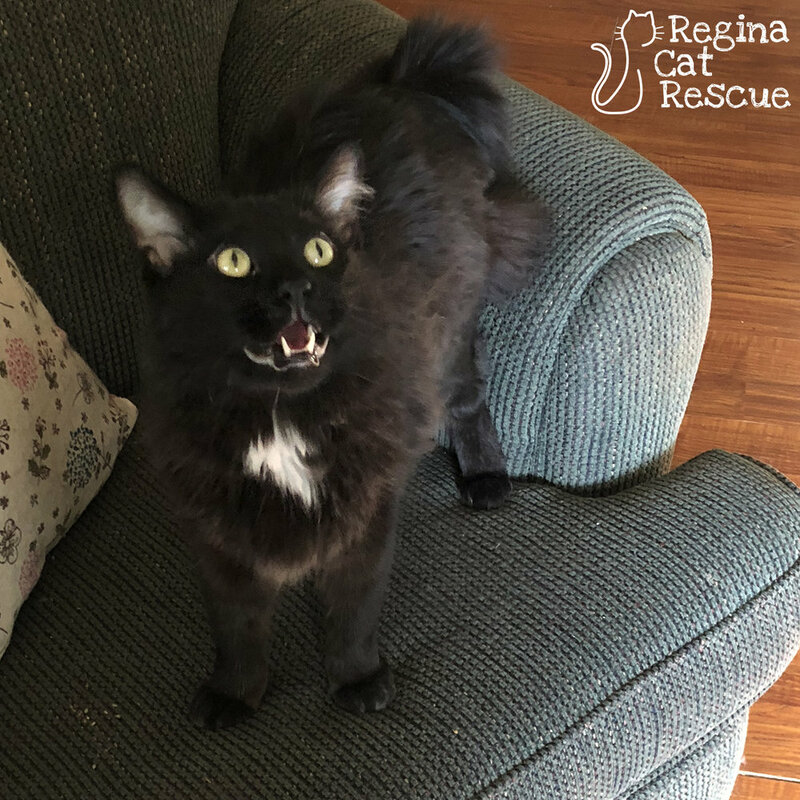 If you are interested in Phantom, click here to view our adoption contract and click here to complete an adoption application or email the RCR Adoption Coordinator at rcradoptions@gmail.com for more info.